This time of year brings out tradition much more than any other in my life. Traditionally, I put the angel my mother made on the top of my tree. Traditionally, we eat a meal of ham, corn, mashed potatoes and gravy with my family. Traditionally, we open our gifts on Christmas Eve and spend Christmas day relaxing and just being together with the family. I've always thought this was a beautiful time of year. Everyone has their own traditions and beliefs, but the general celebration for this time of year is for love, acceptance, and happiness. Whatever you and your family believe and celebrate at this time of year I want to wish you a great holiday full of happiness and love. This book was free at Amazon at the time of the scheduling of this post. Please check the price before buying to be sure it is still free. Sharon’s life was at its fullest or so it seemed. She had one of the best paying jobs, a high flyer; climbing the career ladder at a pace most people could only imagine. Blessed with toys typical of the fast-paced life, state of the art automobiles, jetting from one city to another on vacation, and courted by the most eligible bachelor at work. What more can a girl possibly ask for? This was Sharon’s life until a sleeping beast from the past rose and dealt her an eternal wound. She lost all that was dear to her and sank in to the lowest ebb of anger and depression. Left alone by family and friends, she turned to the one who has the answers to the questions of life. A Rough Diamond brought out the frailty of human affections in the face of adversity, Sharon’s emotional battles with God who she held responsible for her woes and her emotional journey from sorrow to immeasurable joy and freedom. It answers certain life questions we asked when faced with a tragedy. Questions such as: Why me? Where were you Lord when it hurts the most? Why do bad things happen to good people? In this story, we will get to see that death is not the end of human existence, but only a door to eternity. We will see how a life can be beautifully remolded and transformed by tragedy; how good can spin out of a tragic event and how the human spirit through faith in God can rise above every conceivable challenge of life. Emotional, gripping and deeply moving, this is a book that will obsess, possess and remain with you forever. Elizabeth Adeniyi Lives in Lagos, Nigeria. She is an avid reader and a blogger who love to write about true life stories in a fiction form. She started writing as a teenager by putting down in a notebook the details of her daily experiences and encounters. Tattoos ... more than a fashion. Tattoos have become a commonplace fashion statement finding their way onto celebrities, executives as well as soccer moms. Tattoos aren't just for sailors and gangs anymore! Now a deadly weapon in the wrong hands! 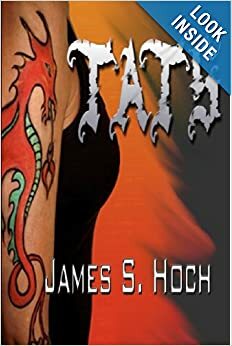 In TATS, a special ink is deceptively released from a lab turning several teens into psychotic, telepathic killers with ties to rival LA gangs. An unsuspecting dermatologist finds himself in the middle of a gang war that turns deadly with far reaching global implications. 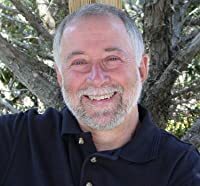 Brought up on Thriller, Twilight Zone and Outer Limits, James Hoch has kept all his dark friends chained up inside his imagination only to let them out little by little in his novels and short stories. SynegEbooks is the publisher of his Crimson Pursuit vampire series and his supernatural post-apocalyptic thriller, HECKEL CASEY, is published by Imajin Books. Hoch's short stories have appeared in Horror Zine, SNM Horror magazine, Flash Fiction Anthology 2012 (Pill Hill Press), 69 Flavors of Paranoia, Sanitarium, and SNM Books of Blood V.
"For a million bucks, would you marry a complete stranger?" Andrea Lindholm has been at the altar before–alone. Two years ago, her fiancé failed to show up on the day of their wedding, forever changing her outlook on marriage. Now she’s being offered enough money to solve her financial woes in exchange for acting as proxy for another woman—Andrea's double—in her marriage to handsome and rich Blake Thomas. All Andrea has to do is play the part of the bride in the wedding and then share a two-week honeymoon in Hawaii with Blake. Old fears of being jilted resurface as the wedding day approaches. But after she meets the dashing groom, her ability to distance herself from the job becomes more challenging every day. Will Andrea be able to cash out of this arrangement with her heart intact when Blake’s new wife claims her place at his side? Sayan, born in the foothills of Himalayas, moved to the big city in search of a job. Slowly got entangled in the big city lifestyle and forgot to chase his dreams. One afternoon he had that moment where he felt that mediocrity can't be permanent and dreams were his only way out. So to realize his first dream came out his first Crime Thriller series. A children's picture book. Teaching children to deal with BULLY incidents. Fred the monkey is being bullied and is keeping it a SECRET --When Jason Brown moves to town he is lonely but does not know how to make friends. Instead he starts picking on Fred who is much smaller than him. Fred does not want to snitch and does not tell on Jason. But when Fred stops playing outside his friends figure out the reason. Fred's friends teach him that sometimes 'telling' is the right thing to do and even heroic because it protects everybody. The story of Fred and Jason is told in rhymes and is accompanied by beautiful illustrations that are sure to entertain. Purchase the book so you may visit Monkeyville and meet Fred the monkey and his pals, Mighty Paul, Hairy Bill, Little Lizzy, Jodi, Ted, and Jason Brown. Note to parents: A Bully in Monkeyville provides a great opportunity to discuss with your children the very pertinent and important subject of bullying. Ari Mazor is a high school senior who plans to attend university and earn the degrees that will enable him to pursue a career in engineering. One of his favorite pastimes is reading, a love he attributes to his early introduction to books. Ari hopes that his stories will attract young kids to the fabulous world of words and help them, as it helped him, develop a love for reading. A Sweet and Endearing Story! This is a lovely story that will help children learn how to problem solve and deal with bullies in a kind and forgiving manner. The author, Ari Mazor, is a talented young writer who understands the nuances of childhood behavior. The illustrations are adorable and very well done. The characters, little monkeys, are sweet and interact well and the dialogue is carefully crafted in clever rhyme. Another wonderful children's book from MazorBooks which is a must have for all children. I have read other MazorBooks and look forward to reading many more. Who says you have to be a child to enjoy a great children's book. Tommy's 5th grade class has a problem. Someone in Tommy's class is telling secrets to the teacher for favors. Tommy and his friends (or are they?) don't know who to trust. 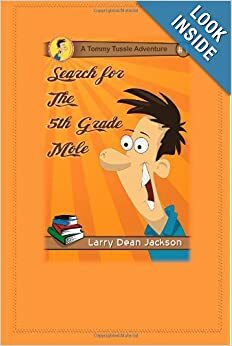 Tommy and his friends embark on a grand adventure to discover and reveal the mole in their class. Larry has been in public education as a teacher and coach for 34 years. He has written over 70 books on: Juvenile Fiction, basketball, coaching, and motivation. Larry and his wife Joani live in Shamrock, Texas. They have nine children and three grandchildren. Book 4 of The End Times Saga, a Christian fiction series. Can a nineteen year old stay true to the faith he was brought up on when he's under the spotlight? 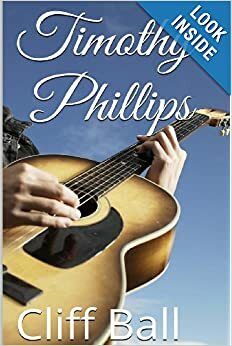 Timothy Phillips dreams come true when he's discovered by the producer of a national talent show. So what's the problem? The recording contract is not in the Southern Gospel he would prefer to sing. As he begins recording and performing the music, he encounters increasing hostility towards Christians. Can he stay true to his faith, or will he end up compromising his beliefs little by little the more famous he becomes? When his world comes crashing down, will he have anything left to help him stand as the end times approach? Have you read the rest of The End Times Saga? Jon Ryan has to deal with the government interfering in healthcare shortly before the End Times approach. Xavier, another character from Times of Trouble, goes to work for the federal government and completely abandons his Christian faith, until he meets Brian Atwood. 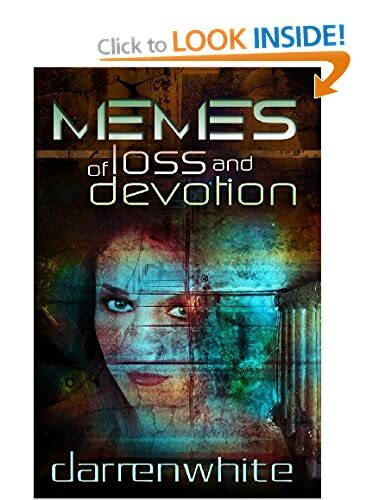 "Memes of Loss and Devotion" examines the human condition, our possible futures, our challenges as a species and our failings as sentient, supposedly intelligent beings. Journey to a far future where all human minds are connected not only to each other but also to benevolent Artificial Intelligences. Technology may have changed, but the human condition has not, and neither has the human heart. A not so random encounter in a hotel bar triggers unforeseen consequences, but just who is the hunter and who is the prey? If you thought that romance in the early 21st century is a minefield, just add advanced technology and see how much more dangerous it can get. Can love survive death? What happens when devotion unexpectedly returns from beyond the grave? A doomed love triangle is destined to end in disaster in a haunting story of passion that can never be reciprocated. What if men were obsolete? What if new technology meant that the human race could continue without them? How far would you go to prevent this? Plus, another eleven cautionary tales that ask some big questions about all of our futures! Darren White is a new British writer. Born in the North of England, he now lives in Hertfordshire with his wife and daughter. Raised in the heart of Robin Hood country, he went on to study Computer Science at university in Sheffield. 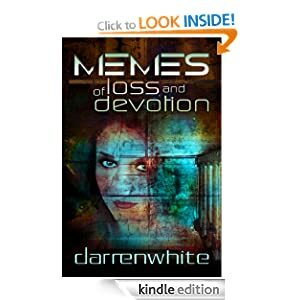 "Memes of Loss and Devotion" is his first collection of Sci-Fi & horror short stories. A Sci-Fi novel, “The Fomalhaut Plague" will follow shortly. Since the mid 1990's he has worked in the information technology industry. He is a Chartered Information Technology Professional, a Chartered Member of the British Computer Society and an Incorporated Engineer. He currently works as a Project Manager in the television industry, working on ‘Big Data’ insight initiatives. He has an interest in popular physics, molecular biology, astro physics, technology and computing. He knows just enough to be able to Google any required information. This latest offering from Southwell, filled with the usual action and adventure fans have come to expect from this author, will keep you reading long past your bedtime. It's another entertaining read that won't disappoint Demon Lord fans, and you'll meet some new and interesting characters in this book, such as the archangel Majelin, whose wife pleas with Bane to rescue her husband, trapped in the underworld. The rescuse goes a bit wrong, trapping Bane and Majelin in another, bizarre realm, the likes of which he's never encountered before - nor has he come across the strange beings that inhabit the realm, deadly even to a dark god. I recommend this book to all Southwell fans, and, if you haven't already sampled this author's writing, strongly suggest that you read the first book in this series, which you can download for free. I apologize. The books may be out of order in my lists. I really tried to get them right, but for some odd reason blogger decided to arrange the pictures instead of taking my direction.